FlexPod Gripper Plus Digital Camera Stand Just $6.99 Ships FREE! You are here: Home / Great Deals / FlexPod Gripper Plus Digital Camera Stand Just $6.99 Ships FREE! 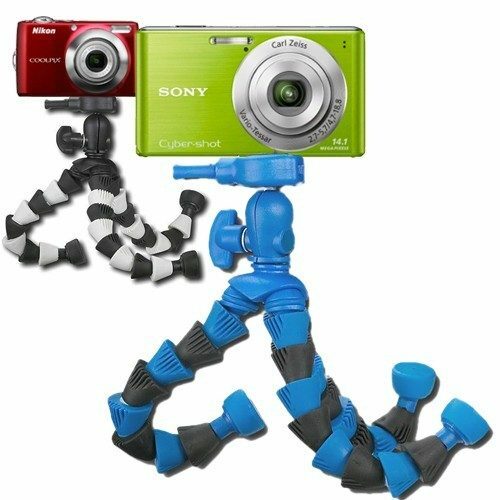 Order the FlexPod Gripper Plus Digital Camera Stand for Just $6.99! Plus it Ships FREE! Never miss a photo again because you have no one to take a group shot for you. The Flexpod gripper has a unique aluminum core design and triangulated leg segments with gripping teeth to securely wrap around just about any suitable support to give your photos a fresh perspective!